The March 2014 issue of “Gospel Advocate” magazine is out and in the mail. Look for your copy soon or go to www.gospeladvocate.com and subscribe today! 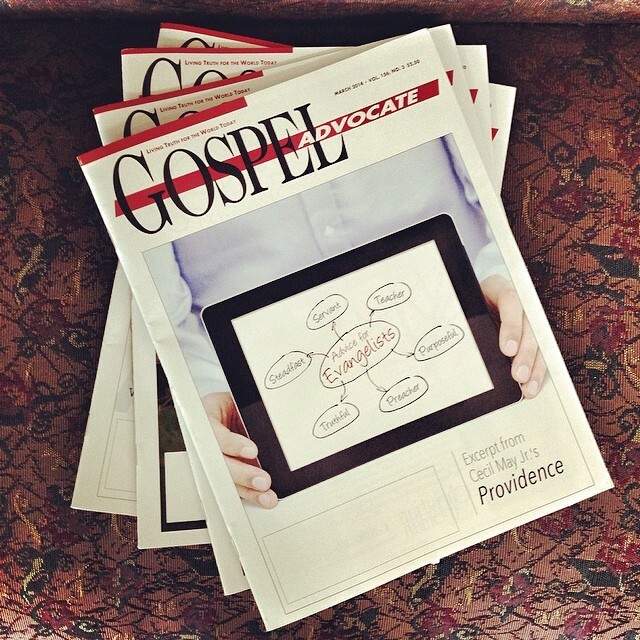 Home » Blog » Instagram » The March 2014 issue of “Gospel Advocate” magazine is out and in the mail. Look for your copy soon or go to www.gospeladvocate.com and subscribe today!